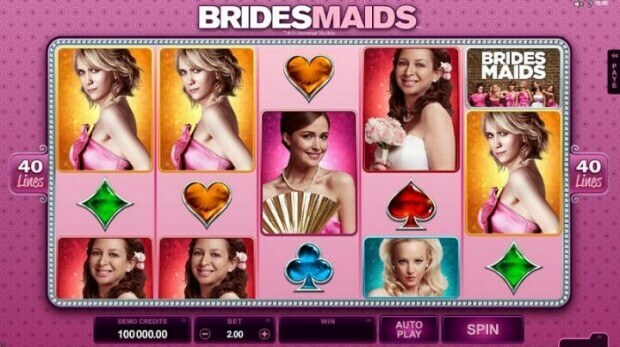 Bridesmaids is a branded online pokies from Microgaming based on the hit comedy film of 2011 from Universal Pictures. This pokies is 40 payline, 5 reel game where the bride and the bridesmaids appear as the high paying symbols on the reels. 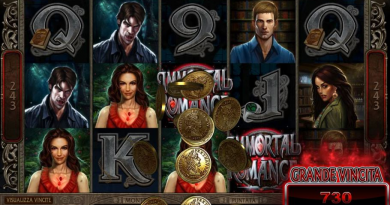 The Wheel of Fortune style feature in this game offers 11 cash prizes with multipliers and four bonus levels offering substantial payouts making this pokies worthwhile to play. 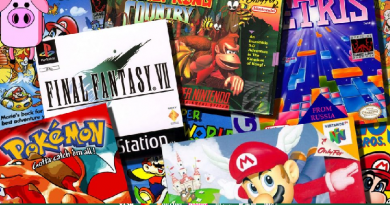 It has also been made for the HTML5 platform, meaning we can play on our mobile devices including Apple, Android, Windows, and more smartphones and tablets. You can choose the number of coins to spend on a spin. 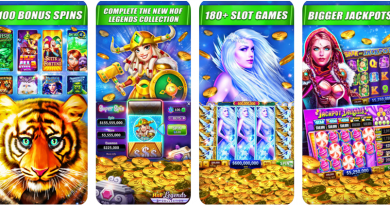 The game offers forty paylines on five reels and coins from 40 cents to 60 dollars in value. After this, you can match as many like symbols as possible. The extended variety of lines on this pokies makes it easier for players to possibly get more out of the game. 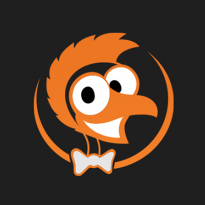 The Bridesmaids logo is the wild symbol and it can appear stacked on the reels in the base game and the free spins. The most exciting feature is the Wheel Bonus. You get to spin a wheel that awards bet multipliers, a fixed jackpot or one of four bonus features. But first you have to choose a cupcake. This may boost some or all of the multipliers or may add two pointers to the wheel. The Friendship bonus awards 10 free spins with winning combinations paying both ways. In addition some of the bridesmaids appear stacked on specific reels. The Flying High bonus also awards 10 free spins. These have two special features – Rolling Reels and Growing Wilds. In the Boutique bonus you have to match the bridesmaids to win cash prizes and bonus multipliers. You keep on getting to play this bonus feature till you find a match for the bride. The final bonus feature is Magic Moments. You keep picking scenes from the movie, which will be played on your screen and you will receive a bonus at the same time. If you pick a carrot then the feature will end. 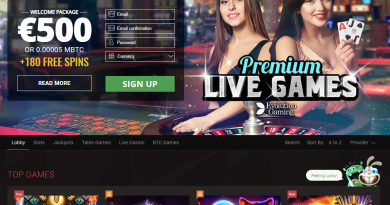 The overall jackpot for the game is 8,000 times the initial bet on a line. 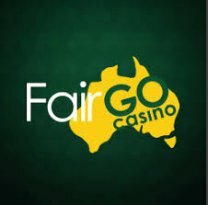 This can be gathered after getting the scatter symbols on the pokies and getting the wheel to appear on the big jackpot payout. ← Samsung Galaxy S6 And S6 Edge- Solving their common problems!